These days it is so easy to inform your friends about any event under the sun by sending an invitation electronically, but let’s be honest; who doesn’t LOVE getting a fabulous invitation in the mail? 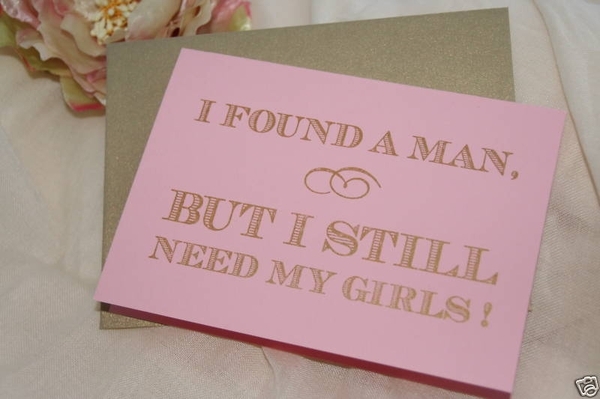 Wedding season brings mailboxes full of invitations for the big day, shower invites, and save-the-dates. 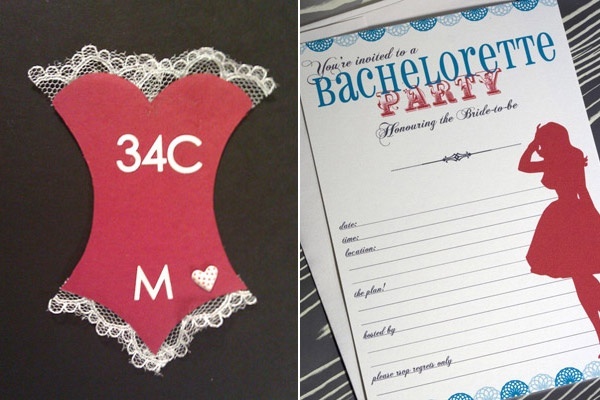 Not that sending bachelorette party invitations will ever go out of style, but recently more than ever I have noticed an increase in cute, creative, fun invitations. 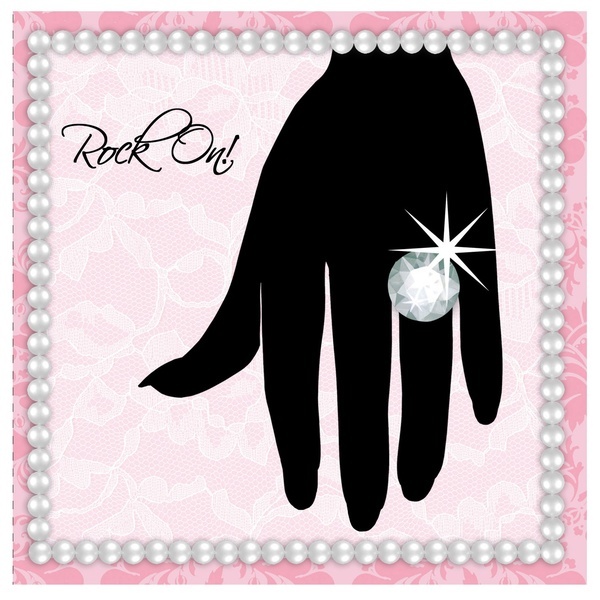 A great invite is the first step in setting the tone for a great girl’s weekend so why not make it unforgettable starting with the invitations? With all the wonder design programs it is as easy as pie to create your own and save a little money. However, if you want to go over the top you can always get a little fancy with it and have them printed, or buy your own special stationary and print them yourselves. The possibilities are endless. Here are some of my favorite samples I have recently seen. Pink & Gold makes for a stunning, girly invite. 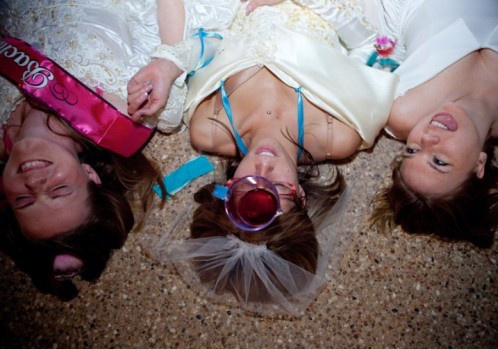 Aqua invites set the tone for a fun, wild bachelorette. 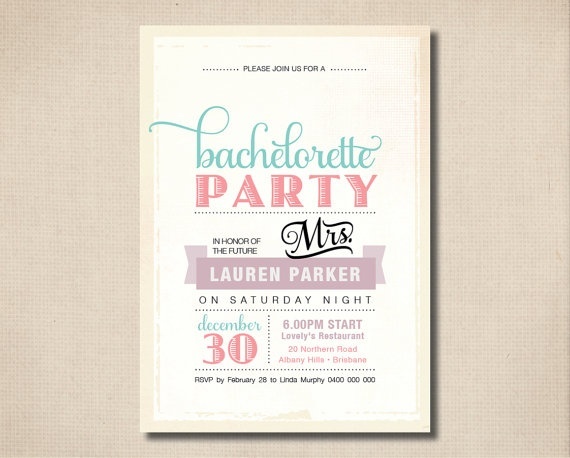 I love this toned down, sweet invitation. 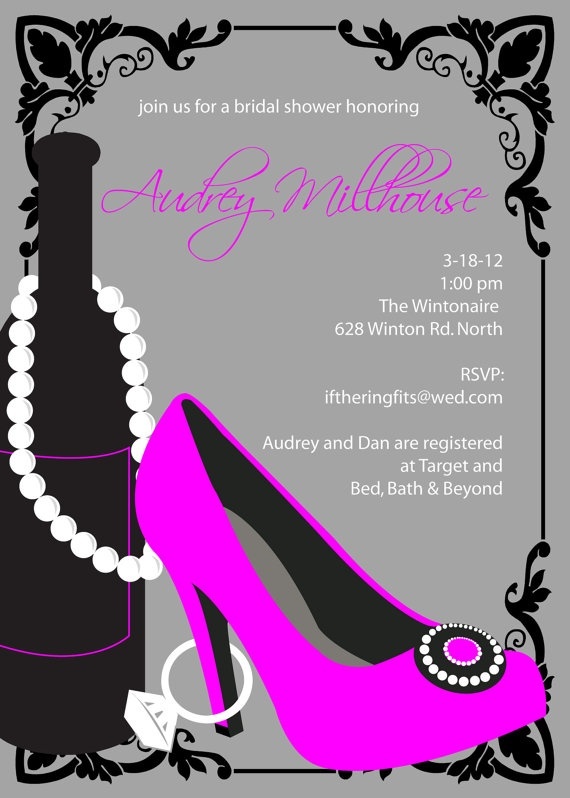 Invites are a great way to show the style of the upcoming shindig. These are so great for a combination bachelorette/lingerie night. 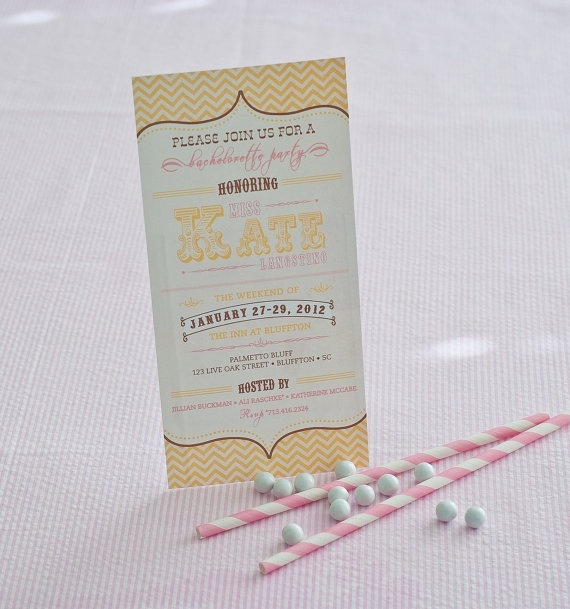 Slim invitations with a vintage feel. 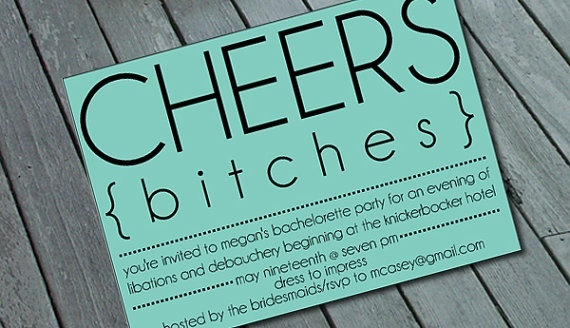 Stunning bridal shower invite which would work for a bachelorette as well. Love this color combo!